The number of people killed in the recent attacks in Spain's Catalonia reached 15, Sputnik reported, citing local media. On Thursday, a van hit pedestrians in Barcelona’s central Ramblas area. Later in the day, a Ford Focus hit policemen near the central Diagonal avenue in the city, while media reported that its driver was killed by police. 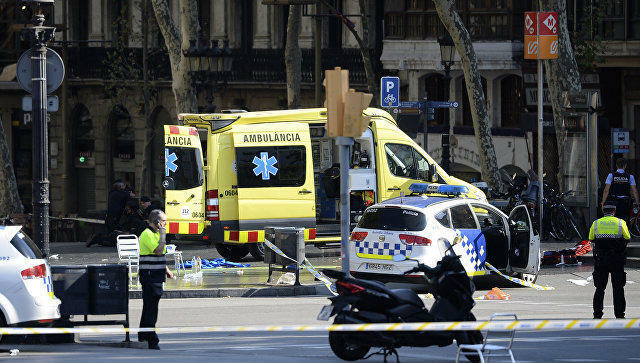 However, as La Vanguardia newspaper reported, police confirmed Friday that the person, whose body was found in the Ford, was an innocent victim, which brought the death toll of attacks in Catalonia to 15.